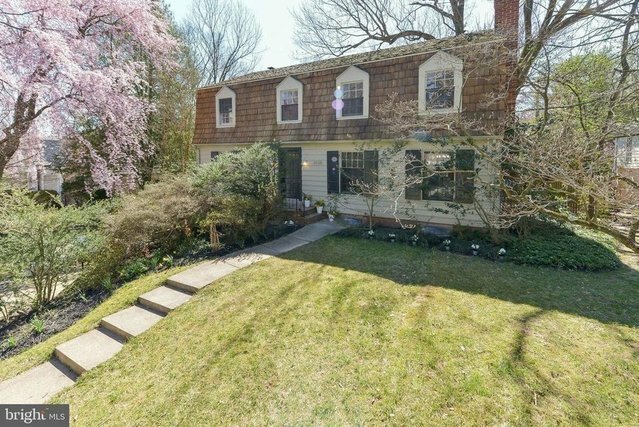 Very spacious, charming & bright, in highly desired and very convenient Chevy Chase Section 5. 4 very large bedrooms & 2 bathrooms all on upper level, plus 5th bedroom/office on main level. Large living room with wood-burning fireplace. Separate dining room. Ample kitchen with granite counters and stainless steel appliances, and open to Breakfast Room/Den with wood-burning fireplace. Bright Sun Room overlooks backyard & in-ground swimming pool. Large Family/Rec Room with wood-burning fireplace and new carpet. All hardwoods refinished. Freshly painted throughout. Updated fixtures. Easy commuting & access to all conveniences: < 1 mi to Chevy Chase Station (Purple Line), 1.4 mi to Bethesda Station (Red Line), and steps to multiple bus lines. Move right in and enjoy!